I knew there was a reason I was avoiding reading this book for so long and it's because I knew waiting for the final book in this trilogy would kill me. February can't get here soon enough. While the lack of punctuation still throws me off a bit, I'm moved by the level of passion Tahereh's writing holds. Twice, I cried. And I can't count the amount of times I reached a chapter end and realized I'd been holding my breath the whole time. Like Shatter Me, I had no intention of reading this book in one day, but it's a pointless effort to try and tear yourself away from this story once you start it. Also, I hate how much I love Warner now, but I seriously can't help it. 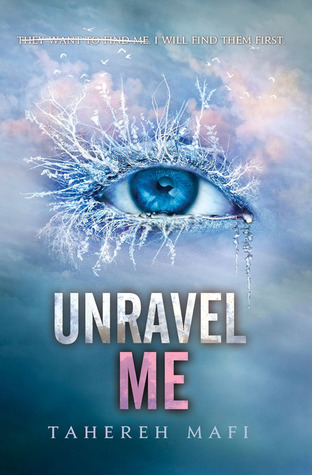 Sign into Goodreads to see if any of your friends have read Unravel Me.